Home » Budget News » Budget 2016: Has the govt focussed too much on rural sector, ignoring the middle class? In contrast to the previous budget, there was nothing for the salaried class in Finance Minister Arun Jaitley's annual budget this year. Pollution cess of 1 per cent on small petrol, LPG, and CNG cars; 2.5 per cent on diesel cars of certain specifications; 4 per cent on higher capacity vehicles. First time home buyers to get additional deduction of Rs 50,000 on interest for loans up to Rs 35 lakh. The cost of homes should not be more than Rs 50 lakh. Car prices, including those of mass market small ones, are set to go up as Jaitley today proposed to levy an infrastructure cess of up to 4 per cent on various kinds of vehicles. Excise duty on tobacco products increased by 10-15 per cent; Tax on black money declared will be 30 per cent plus 7.5 per cent penalty and 0.5 per cent Krishi Kalyan Cess to be levied on all services. Excise 1 per cent imposed on articles of jewellery excluding silver. 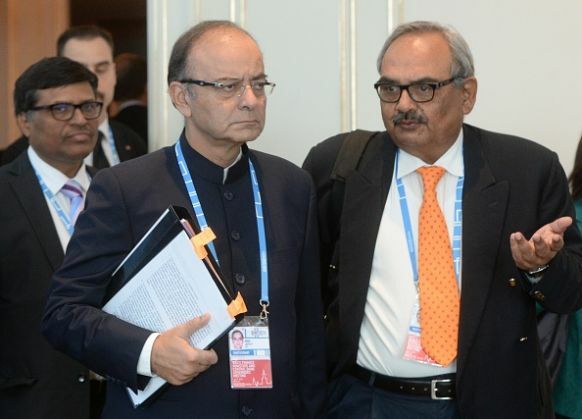 Jaitley says levying heavy penalty for non-payment of tax has led to high litigation. Proposes to modify penalties scheme. Deduction for rent paid will be raised from Rs 20,000 to Rs 60,000 to benefit those living in rented houses. Ceiling of tax rebate for taxpayers with up to Rs 5 lakh annual come to be raised to Rs 5,000 from Rs 2,000 currently. Shopping malls will be allowed to be open on all seven days of the week; a model Shops and Establishment Bill to be circulated to states. A new health protection scheme to provide cover up to Rs 1 lakh per family; top up of Rs 35,000 for people above 60 years.